So last Thursday was my Team in Training kick off meeting. 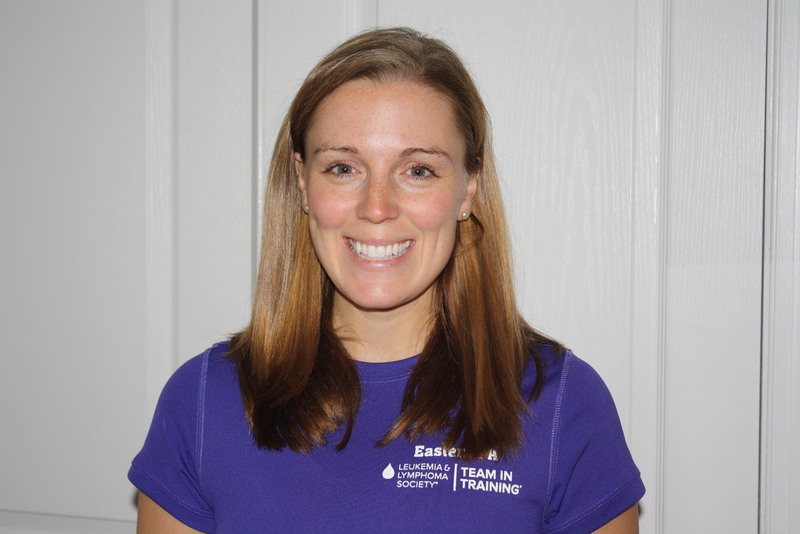 It was so great to meet others who will be training/running the NJ Marathon! I made a few running buddies and we have plans to run together in the evenings during the week. I am really excited about our coach as well. He has been running for 40 years, coaches track and cross country at a nearby college and is president of the Greater Philadelphia Track Club. I’m looking forward to taking advantage of his expertise and experience in the coming months. 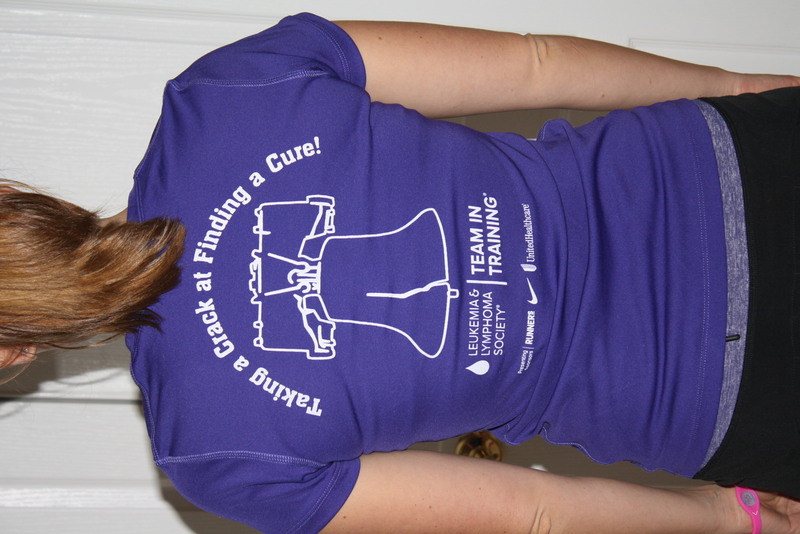 In addition to meeting people and getting info, we also got these sweet tech shirts that are to wear during training. 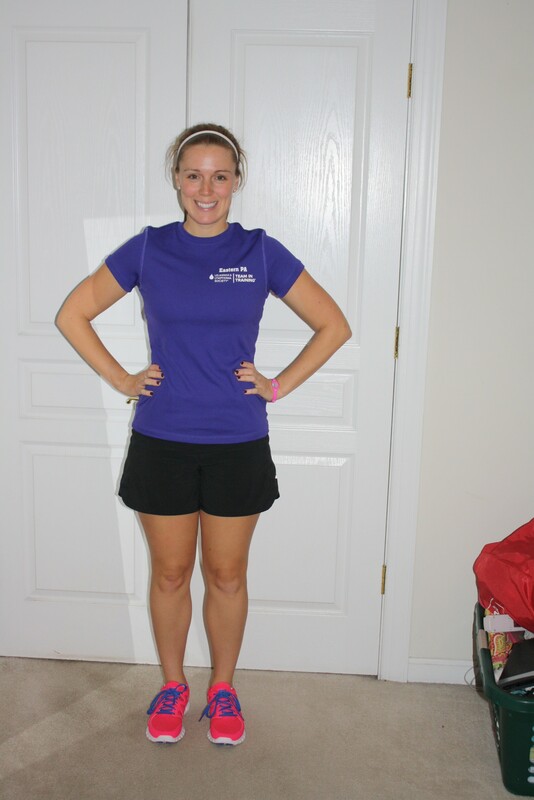 I love the purple-they match my lululemon shorts :). Here is the front! Oh what’s that? Were you blinded by my shoes?? Say hello to my new Nike Free Run 2’s! 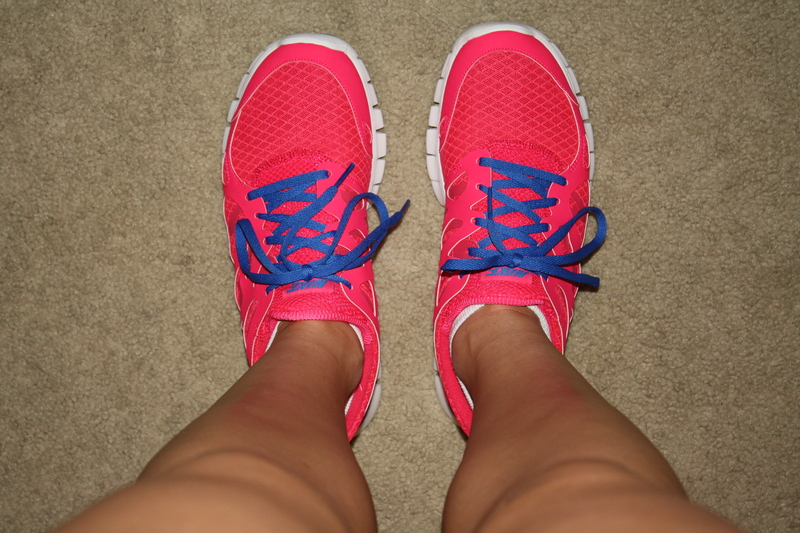 I have been running in the Nike Free Run’s and it was about time for a new pair. My friend April was able to pick me up a new pair from the running store she works for. I told her to surprise me with the color and they couldn’t be more perfect! I am all about fun/bright workout gear. Annnd last but not least, I got my hair cut!! As you may recall from my last post, my hair was getting a tad long and definitely needed some sprucing up. I went on Sunday and really like the new ‘do. Please excuse my “ijustcamefromthegym” look-just keeping it real. I had close to 6 inches cut; my hair feels so much lighter and healthier! Now I need some fun headbands! Ok well that’s all I’ve got for you tonight. I’m meeting with my trainer tomorrow evening for some dead lift fun!